Check out our Euro-Style Apparel Display! 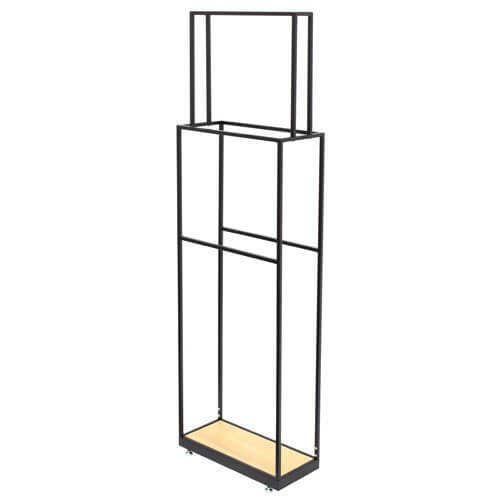 The display possibilities are endless when using this garment rack. This unique styled floor fixture is ideal for scarves, curtains, specialty made blankets and more. 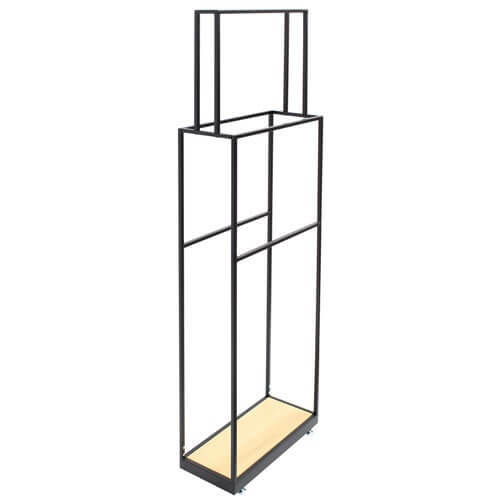 This accessory rack features six cross bars to hang, display, or highlight retail fashions in an orderly fashion. 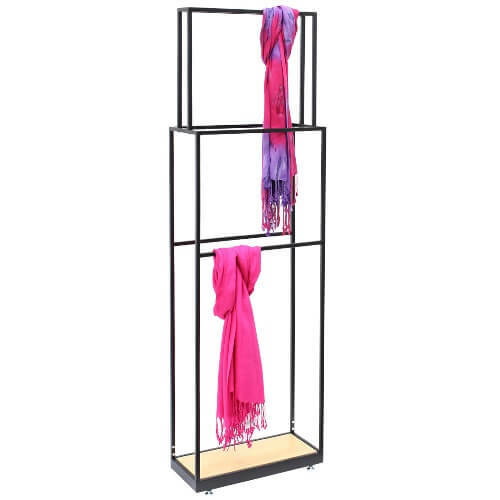 Our lovely fashion display rack includes a laminated wood base with a black powder coated metal steel frame. 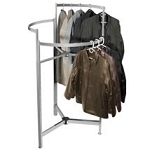 Step up and take a chance on increasing sales with this clothing fixture. Order yours today!